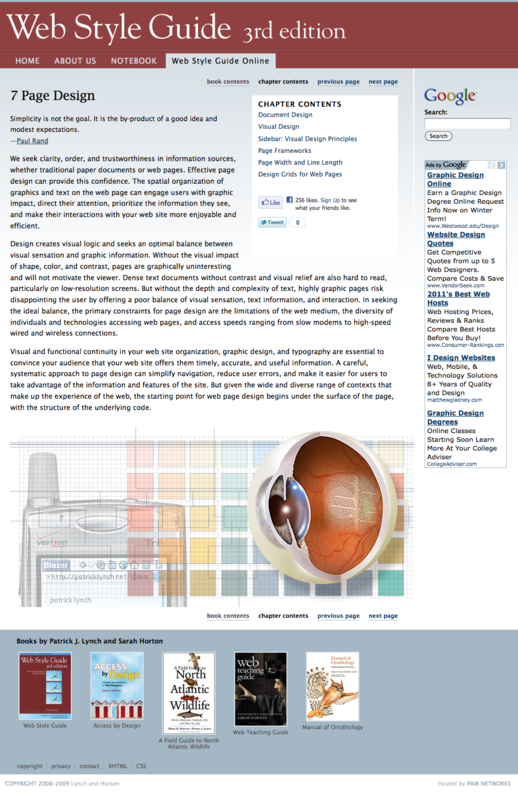 The first version of Web Style Guide was a web site called the Yale C/AIM Web Style Guide, posted in 1993, just as the world outside computing and academia began to notice the new medium and the Internet in general. The early web was sorely lacking in aesthetics but exploding with potential. Web Style Guide provided much-needed guidance on structure and design based on several decades’ worth of experience with print, hypermedia, and multimedia design and authoring. In 1997 my co-author, Patrick Lynch, and I updated the Web Style Guide site to reflect the maturing design trends and changes in web technology. This was a time of significant progress in visual design and interface sophistication, but at the cost of standardization and accessibility. In 1999 we produced the first print edition of Web Style Guide. The web site had gained a significant following as more and more organizations turned to the web as their primary means of communication. People with little or no background in design were assigned the responsibility for web site development, and they looked to Web Style Guide for calm, reassuring, and practical guidance. 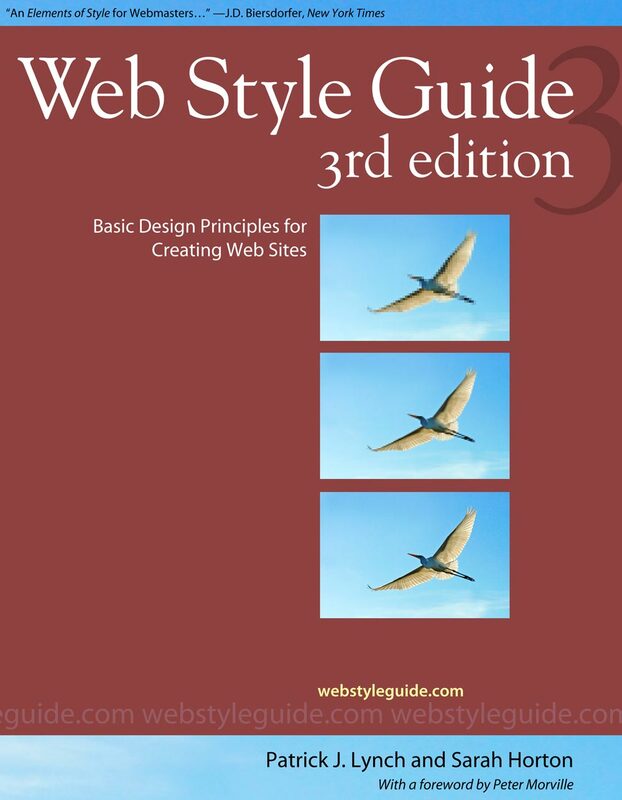 Since its inception as a web site in 1993 and into its third edition, Web Style Guide has presented solid design advice based on classic design principles. In the second edition we focused on solid design practices, acknowledging the growing attention to web standards and accessibility. In the third edition we were able to move away from issues like cross-platform compatibility and adaptation for people with disabilities, and instead provide solid planning, design, and editorial guidance for a more stable, accessible, and sustainable web site. Web Style Guide is a classic. It has been translated into more than eight languages, and is commonly used as a course text for web design classes. Despite the availability of a book version of the guide, we deliberately chose to continue to make the web site materials freely available.